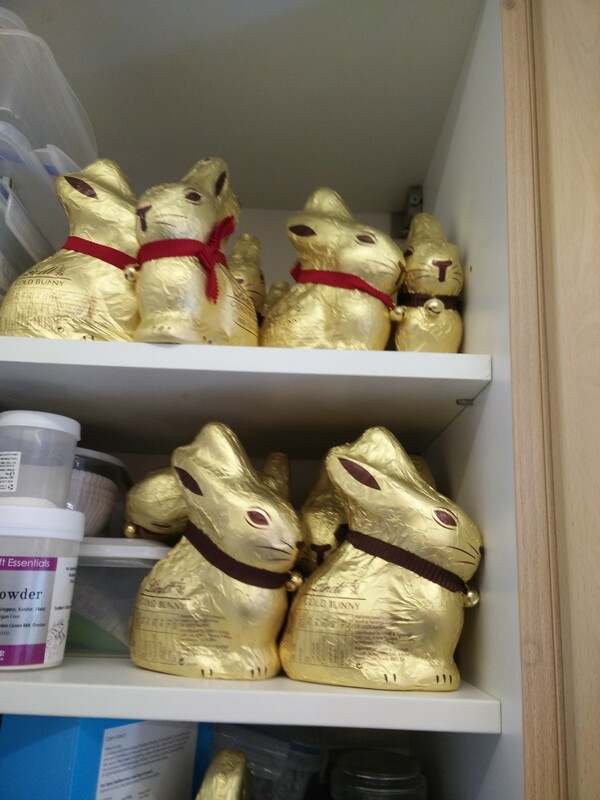 User penguin42 writes in to show his chocolate bunny collection. Down from £5 to £1.50 at Ocado. 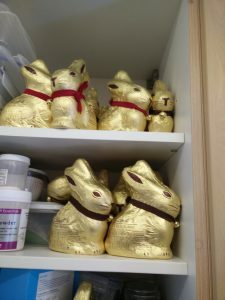 27 bunnies which is more than 5kg of chocolate.